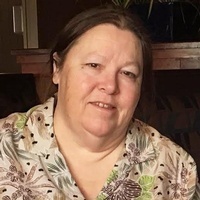 Rebekah Jane Greely, 65, of Washington, died Saturday, March 30, 2019, in the Emergency Department of Washington Hospital. She was born October 9, 1953, in Meadville, a daughter of Florence Weir Gillette of Linesville and the late Lloyd Gillette. A 1971 graduate of Linesville High School, Mrs. Greely earned Bachelor of Art’s degrees in education and psychology at Thiel College, a Master of Art’s degree in reading at Edinboro University, and certification in special education at California University of Pennsylvania. During her teaching career, she taught at Conneaut Valley Elementary, Washington schools, and Avella. Mrs. Greely was a member of First Baptist Church, Linesville, and attended North Buffalo Presbyterian Church, Washington. She enjoyed crafting, scrapbooking and ceramics. She volunteered with scouting and dance, and any activities in which her children were involved. On August 7, 1977, she married Bernard Greely, Jr., who survives. Also surviving are two sons, Gregory Greely of Linesville and Benjamin (Randi) Greely of Washington; a daughter, Jennifer Greely of Linesville; a sister, Nancy (Wesley) Nicholas of Linesville; four grandchildren, Kaylee, Hayden, Owen and Miles Greely; and several nieces and nephews. Friends and family will be received from 5 till 8 p.m., Thursday, April 4th, in William G. Neal Funeral Homes, Ltd., 925 Allison Avenue, Washington. Calling hours will be 10 a.m. till 1 p.m., Saturday, April 6th, at Royal-Coleman Funeral Home, 6028 U.S. Highway 6, Linesville. A funeral service will follow at 1 p.m. with Rev. Rachel Johns of the Linesville Presbyterian Church officiating. Burial will follow in Linesville Cemetery. Please share a condolence or memory of Rebekah for the family at royalcolemanfuneralhome.com.